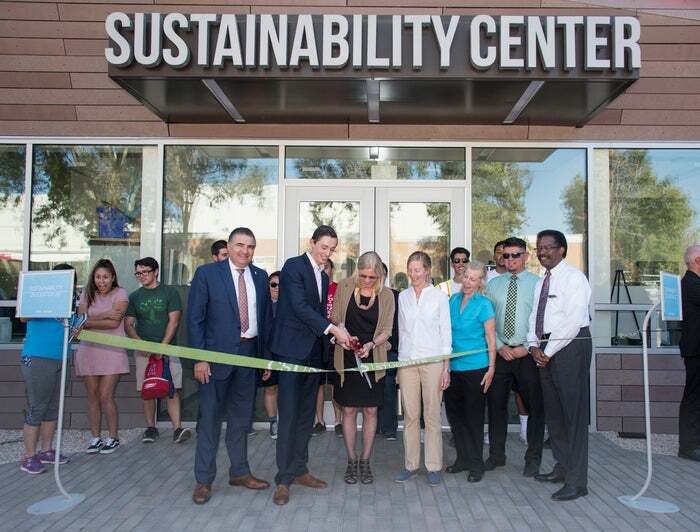 Sustainability is a key priority at California State University, Northridge, integrated into all aspects of the university from operations and infrastructure to outreach, education and research. CSUN’s 10-year Sustainability Plan lays out our goals and activities in ten different functional areas. Everyone at the university – administrators, staff, faculty and students – is an integral part of these efforts. We are a proud signatory to Second Nature’s Presidents’ Climate Commitment and are following a Climate Action Plan that will guide us towards climate neutrality by 2040. Find out how to get involved. Click here if you are a student who would like to volunteer with us! Facilities Planning, Design & Construction The Institute for Sustainability Sign up here! To drop-off and pick-up recyclables, please contact Associated Students Sustainability & Recycling at (818) 677-4262 or email . Find out which items are accepted.